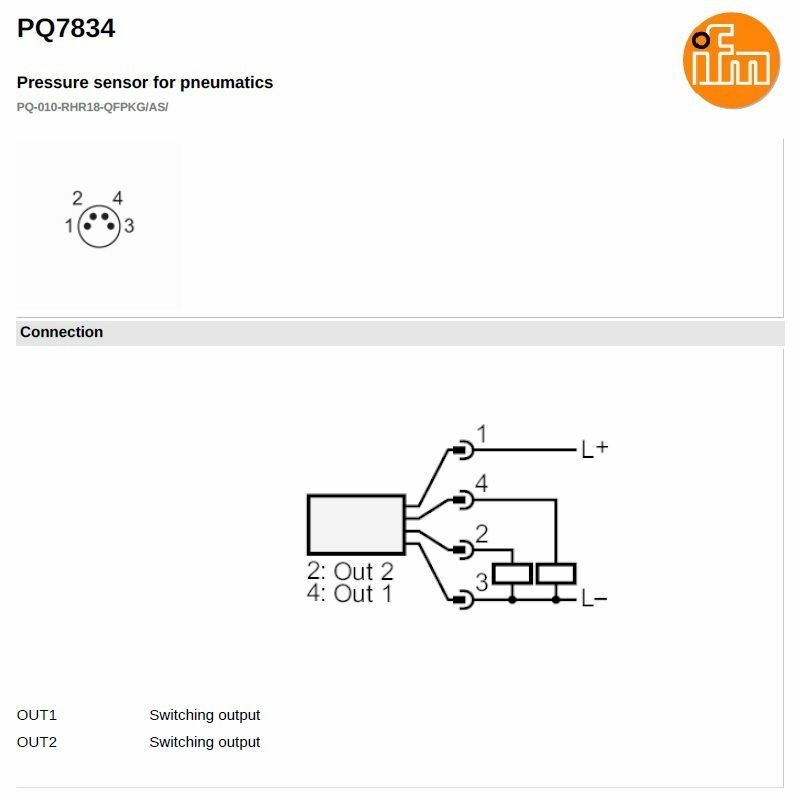 PQ7834 Electronic pressure sensor (-1 to 10bar, 2 outputs) | DamenCNC B.V. 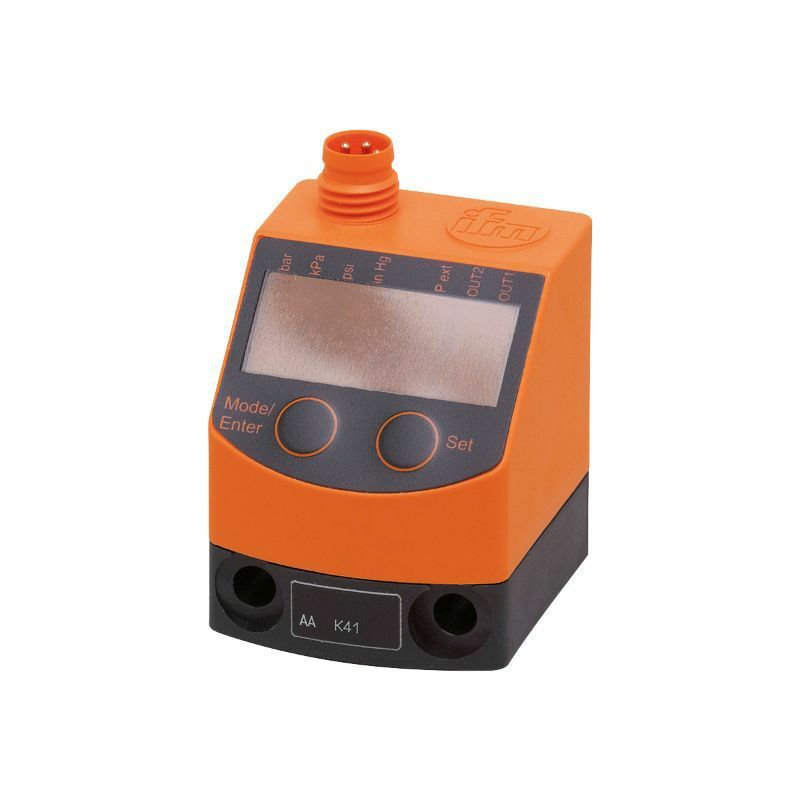 The PQ7834 electronic pressure sensor from IFM has a two-color 4 digit alphanumeric display, ensuring good readability. The unit serves both as pressure switch and a diagnostic unit. With two programmable switching outputs, and one diagnostic output. 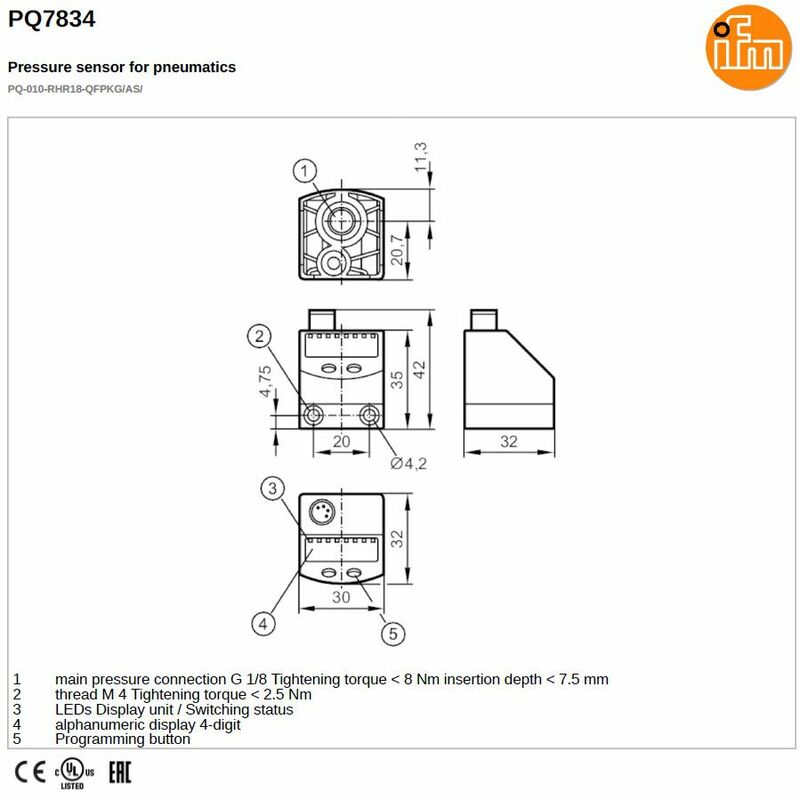 We often use this pressure sensors in project where we have 2 pressure levels. The first level output can then be used to give a low pressure warning. The second output can then be used for triggering a real E-stop. Of course it can be used for many other applications. This is just an example of typical use.